British swimming legend Duncan Goodhew will be in Leeds next Monday inspiring potential stars of the future. The 100 metre breaststroke gold medallist from the 1980 Olympic Games in Moscow will be coaching a group of approximately 60 young swimmers aged eight to 12 at the Aquatics Centre at the John Charles Centre for Sport from 6:30pm-7:30pm on Monday 24 September. 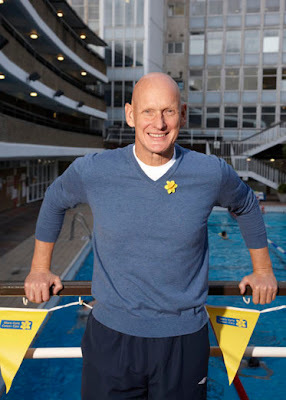 The group of swimmers are all part of the City of Leeds Swimming Club, which won the right to have Duncan Goodhew visit after recruiting the most swimmers of any club in the country to take part in this year’s charity Swimathon Weekend event in April. As Swimathon President, Duncan will be passing on his tips and advice to the young swimmers during the coaching session to help them improve their techniques. “We are thrilled to be welcoming Duncan Goodhew to Leeds and we know our young swimmers are going to enjoy meeting him and listening to what he has to say. This year, 33 City of Leeds swimmers took part in the Swimathon Weekend raising £3,350 for charity. Leeds City Council’s Leeds Swimming Training Scheme provides opportunities in the sport of swimming for all ages and from recreational to elite level. In total there are over 250 people taking part in the scheme on a daily and weekly basis. For further information about the scheme email swimming.and.diving@leeds.gov.uk or call 0113 395 0001.